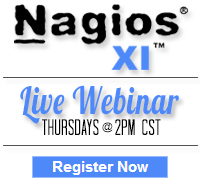 If your environment includes Solaris or AIX systems, a solution is now available to ease monitoring of those system with Nagios XI. The Nagios XI NRPE agent provides a simple agent installer for the target system and a wizard that provides useful defaults when configuring Nagios XI to monitor the target system. Nagios XI agents for Solaris and AIX have been released. The Solaris agent has been tested on Solaris 10, both x86 and SPARC. The AIX agent has been tested on both AIX 5.3 and 6.1. To use the Solaris agent, download the agent, agent installation instructions, and wizard. The same agent installer works for both SPARC and x86 systems. An HP-UX agent is also in the works. An announcement will be made here where it is available.